Fans of developer MachineGames’ Wolfenstein games are no doubt looking forward to Wolfenstein II: The New Colossus, the latest game in the series which will be released in October this year. And it’s true that the Wolfenstein games are some of the few that still offer great single player first-person shooter campaigns and a great story to follow, something that no doubt fans of publisher Bethesda’s games appreciate. Wolfenstein II sees the return of protagonist B.J. 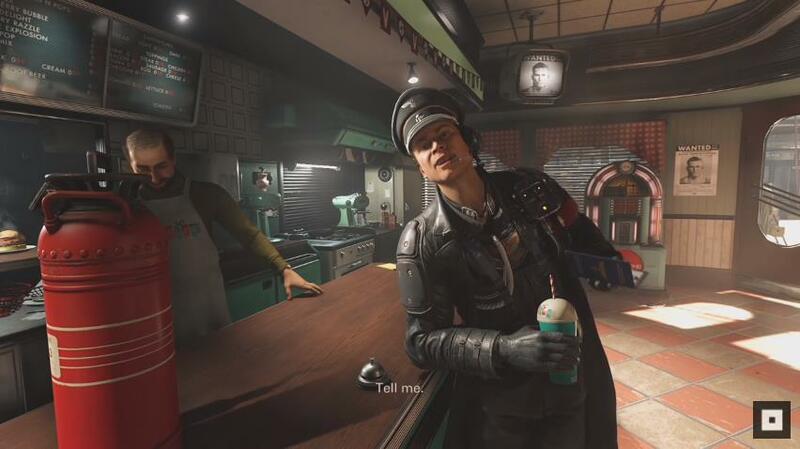 Blazkowicz, who will once again be attempting to foil the plans of the Third Reich. So, expect this to have more oversized guns and the explosive, over the top action seen in the earlier Wolfenstein games, as Blazkowicz guns down hordes of Nazi soldiers and tears apart giant robots in this sequel to 2014’s Wolfenstein: The New Order. This scene is both tense and humorous, with this Nazi character looking like it came out straight out of Tarantino’s “Inglourious Basterds”. This trailer also shows that this upcoming Wolfenstein game will boast some pretty great graphics and art, and that this game recreates the atmosphere of the period as well as the earlier Wolfenstein games by developer MachineGames and Bethesda. And the superb character models and detail could certainly make this one of the prettiest-looking games on consoles and PC this year no doubt. Here’s hoping then, that Wolfenstein II: The New Colossus does live up to the hype when it hits shelves later this year, and it manages to deliver the same great mix of action and story that made 2015’s Wolfenstein game such a joy to play through. Note: Wolfenstein II: The New Colossus will be released on October 27, 2017. Available on PS4, Xbox One and PC.